Global Financial Systems is an innovative, interdisciplinary text that explores the ‘why’ behind global financial stability. 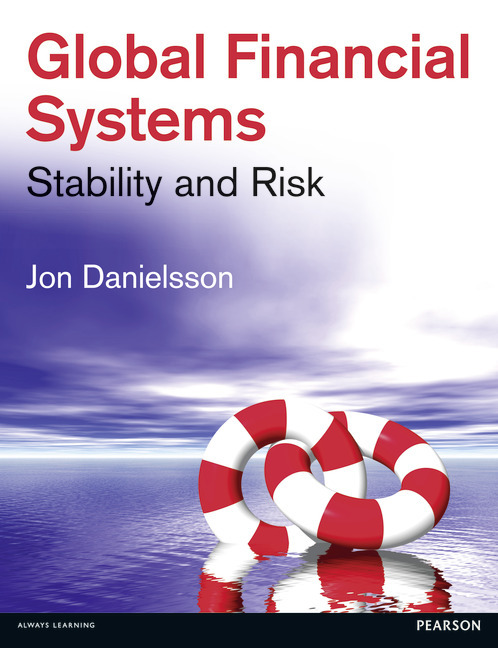 Danielsson draws on economic theory, finance, mathematical modelling, risk theory, and policy to posit a coherent and current analysis of the global financial system. "Nicely and clearly written for an undergraduate audience…the book has a fresh perspective that will differentiate it from pre-crisis texts"
"Global Financial Systems: Stability and Risk, looks to be an important book… it will appeal to those interested in regulation as well as those more on the regulatory side." Visit the author's personal website at http://www.globalfinancialsystems.org/ to read two online chapters covering the latest developments. 1.3 Who creates systemic risk? 17.5 Was it a subprime crisis? 18.6 What about too big to fail?